Own The Predator Franchise on Blu-Ray, DVD and Digital! Just in case you don't have all the Predator films (which I'm betting most of you do) you can grab all of them HERE! They make great gifts for all your Predator fan friends too. 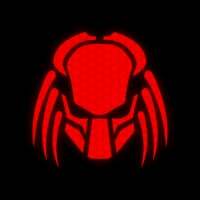 If you have friends that aren't fans of Predator...GET RID OF THEM. Kidding! Show them the way and send them HERE to check out the greatest franchise of all time. I'm really gonna save up and get The Predator on Google Play for my 27th birthday, also playing Aliens VS Predator on PC is one of my favourite games I've ever played.